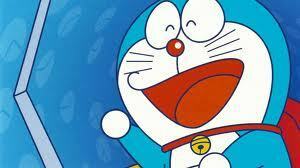 if any body is a true tagahanga of doraemon so he know that when her birthday come????? I pag-ibig this episode in which Gian's niece Saki makes an appearance. Saki believes in ancient Asian legends and myths. Just like any other child, Saki too wants to see the liyebre in the moon that makes kanin cakes . I especially pag-ibig this episode in which a Raccoon dog family wins Suneo’s friendship.